The Ozark 3856 12 string guitar is part of the Ozark All-solid Spruce Top Series. It is an all-solid guitar with a solid spruce top and solid mahogany back and sides which produce clarity of sound and project the rich ringing 12-string sound. This is a guitar that delivers plenty of volume, great for rhythm guitar and accompaniment. The mahogany back and sides give the guitar a warm tone, while the spruce top ensures a crisp clarity only found with a solid body guitar. This well-balanced 12-string guitar offers excellent value and features a comfortable mahogany neck, ovangkol fingerboard and bridge. 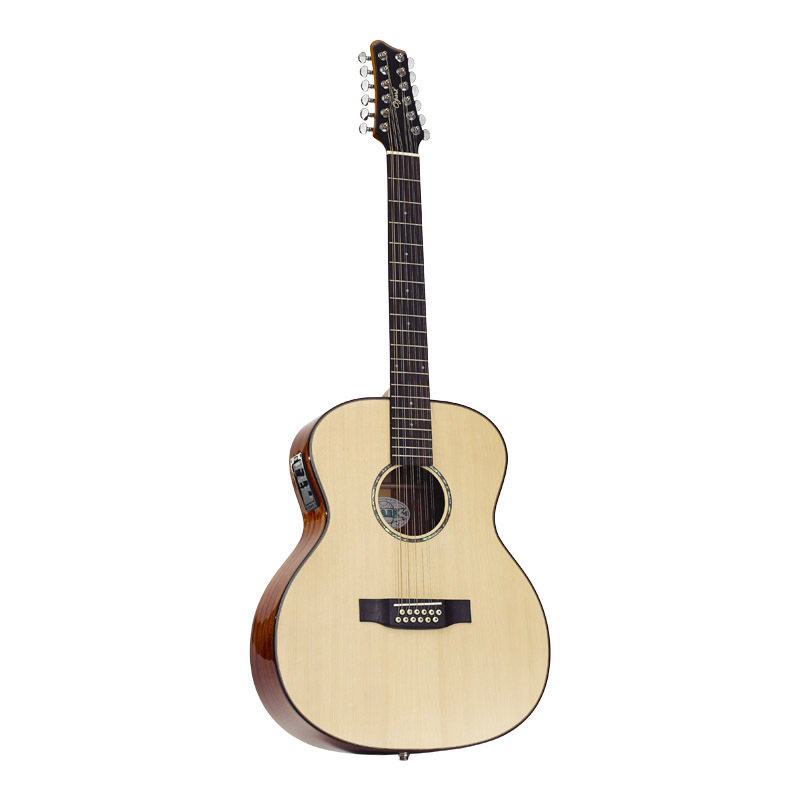 Its solid spruce top in natural finish is enhanced by wood binding on the body with an abalone soundhole rosette and its superior looks are finished with the fitting of chrome diecast machine heads with chrome buttons. Its sound is also enhanced by a Fishman undersaddle transducer with equaliser and endpin jack.